If you had to ask the top pros, most of them would tell you that cross training and a multidisciplinary focus are key to producing a great horse. Ingrid Klimke famously advocates for pole work for dressage horses, while Jos Lansink focuses a lot on basic flatwork and transitions for his horses and riders. The eventing riders will already be aware of the benefits of training for multiple disciplines! 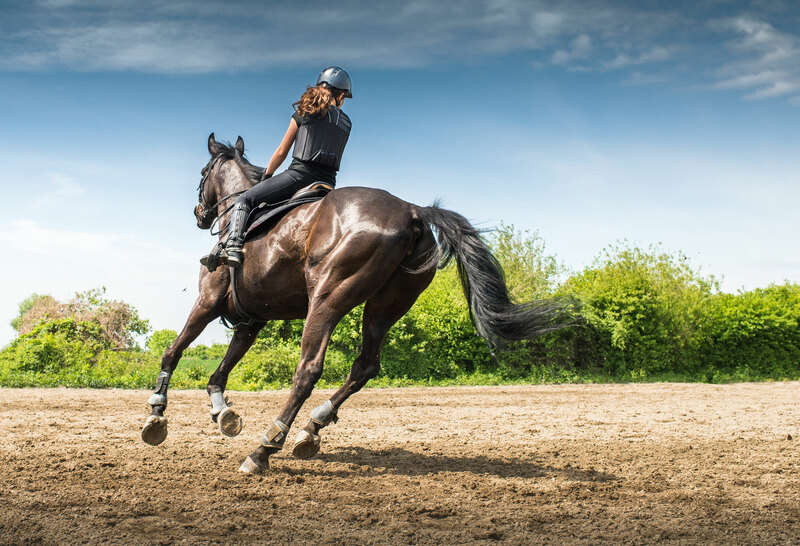 So if you’ve ever wondered about taking your endurance horse for a dressage lesson or blasting round the cross-country on your dressage mount, you should keep in mind these five benefits of cross-training with your horse. Your Dressage horse can definitely improve their coordination from doing poles or small jumps, and your jumping horse can do the same by breaking down those transitions within the pace, or by going for a hack on uneven ground. Teaching horses to work in different ways improves their body awareness and teaches them to work different parts of their body. Work over raised trotting poles might help a horse to articulate the joints and pick their feet up, whereas hacking over uneven terrain might help to improve a horse who tends to stumble in the arena. If you were a horse who only ever jumped day in and day out, would you be sick of jumping? Or what if you’d been schooling in the same arena five days a week for the last five years? We bet you wouldn’t look forward to going in there every afternoon! A stale, unhappy horse is difficult to ride and often lacks enthusiasm. If your horse can have some variety in their work, they’re more likely to come out of the stable every day looking forward to what’s to come. To keep things interesting, you can jump or do polework one day, have a Dressage lesson the next, go on a walking hack or let off steam with a good gallop up a hill over the weekend, head to a show or clinic once a month, pop over some logs, or lunge, longline or do some groundwork once every week or so. 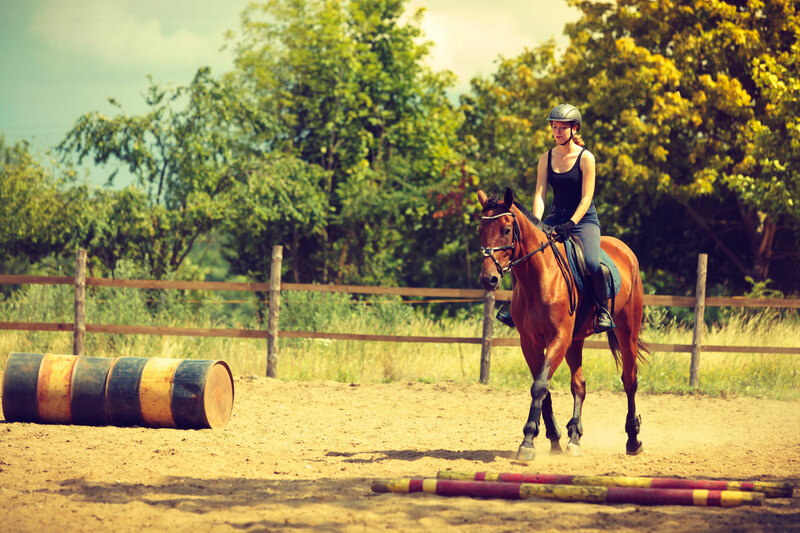 Being exposed to a variety of situations also helps to make your horse braver and less spooky – the Dressage arena letters become far less intimidating than a quadbike on a hack or a bright filler in a Jumping course, for instance. ‘Way of going’ always sounds like a Dressage term but the reality is that whatever discipline you do, it’s far easier on both you and the horse when they’re supple and balanced. In almost all disciplines, the aim is to make the horse more responsive and easier to ride – in Jumping, that might mean that they need to adjust their stride at the first sign of your shoulders coming back, or that they keep a better rhythm between fences. For Dressage, it could be that you want them so in tune to your seat and leg aids that a canter half-pass feels like more of a thought than a movement. For trail riders, you might want your horse to be able to easily do a side pass or turn on the forehand to help you open a gate – it doesn’t matter what your aims are! Thinking about it that way, it’s easy to agree that doing a line of small bounces might help a dressage horse learn to activate the hocks and shift their weight more backwards. Working on bend and suppleness and rhythm could help improve the technique of a Jumping horse both in between fences and over the fences. Using a wall or gate to teach the turn on the forehand or the leg-yield could help the Dressage horse transfer the learning to the arena. Fitness doesn’t just refer to cardiovascular fitness, though that’s a big part of it. Fitness can also refer to bone and soft tissue, as well as muscular developments. Most horse people will know that non-horsey athletes find riding very tiring – not just for their muscles, but they get out of breath and feel tired. This is true even of fit people! And if you ride seven horses a day but never run, you’ll find that you tire quite quickly. The same is true of horses. Your Dressage horse might manage 45 minutes of intense schooling but find jumping round a course tiring, or your endurance horse could canter slowly for hours but might find a fast gallop exhausting! Cross-training can help to address these fitness gaps and develop cardiovascular fitness, but doing a variety of work and disciplines can also help to make bones and muscles stronger. Cross-training your horse can help to prevent or lessen the chances of musculoskeletal injuries. Partly, this is because of the above-mentioned increase in fitness and strengthened bone and soft tissue – it stands to reason that a stronger, fitter horse will sustain less injuries when working than an unfit one. Another way cross-training can help to make your horse less prone to injuries though, is by changing the workload and thus the way it stresses the horse. As an example, if you were to jump every day you would find that the horse would take strain on the same tissues and bones repeatedly. You could keep the jumps small to reduce the stress levels, of course, but the motion is the same and thus it still puts strain on the same areas. Under these conditions, a human might develop a repetitive strain injury like tennis elbow or carpal tunnel, but someone who plays tennis interspersed with swimming, weightlifting and running probably won’t! 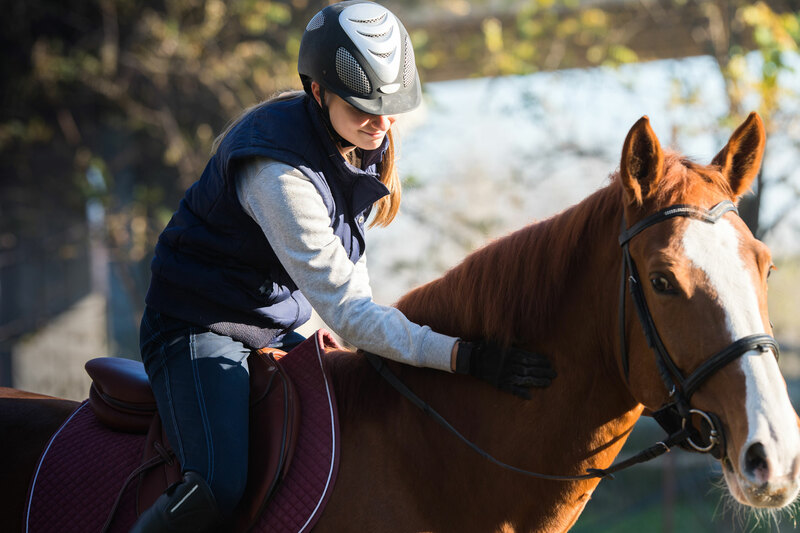 By helping your horse to work different parts of his body and making sure that stress isn’t continually placed on the same joints and tissues, you can help to prevent injury and soreness.